Tokyo Metropolitan Theatre is a 2-minute walk from the West Exit of Ikebukuro Station and is directly connected to Exit 2b of the underground passage of the station. 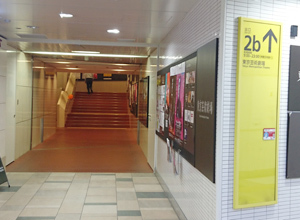 Tokyo Metropolitan Theatre is directly connected to Exit 2b of the underground passage at the West Exit of Ikebukuro Station. The exit has stairs as well as a wheelchair lift. 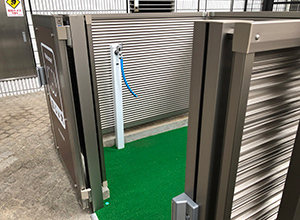 Please call a security guard or theatre staff through interphone to use the lift. The wheelchair lift is located at the left side of the staircase. The wheelchair accessible floors and the number of seats are as follows. * The number of available seats may change depending on the program. Please contact the organizer for more information. Manual wheelchairs are available on the following floors, and they can be used for free if they are not occupied. The wheelchairs are rented out on a first-come-first-served basis. 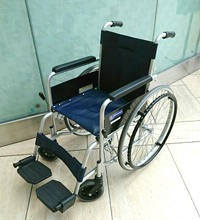 If you wish to use a wheelchair, please contact the theatre staff directly. *Box Office has three wheelchairs, all other locations have one. 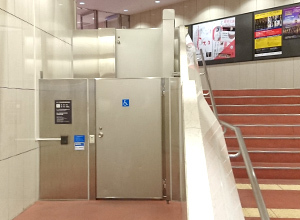 Wheelchair accessible toilets (Multipurpose Toilets) are located in each theatre hall as well as on B1F, 2F, and 5F. Please ask the nearest theatre staff. Assistance dogs may be accompanied inside the building and into each theatre hall. * Assistance Dogs are guide dogs, mobility service dogs and hearing dogs for those in need, and may accompany their owners into the building and the halls. 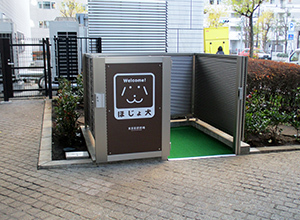 An assistance dog toilet equipped with a tap and a hose is located on the 1F of the theatre. It is located outside but has a roof and open to general public. Please feel free to ask a security staff or theatre staff about how to use the facility. * Please pick up and take the garbage with you. Dog potty pads and bags are available at the Security Control Center. * Please use the Multipurpose Toilets on the B1F, 2F, and 5F if you wish to stay indoors. Water is available to use. Writing boards are available at the Box Office and the stage door on the 1F for those with hearing impairment. The following services are available in some programs of the Tokyo Metropolitan Theatre in order to enable a wider range of audience to enjoy performances. ・Show your disabled certification to save 10% off the ticket price. 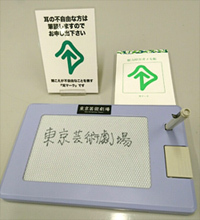 ・Show your disabled certification and receive discount for the Tokyo Metropolitan Theatre Parking Lot. *The session is in Japanese. For the Program Description for the Visually Impaired and Portable Subtitle Machine for the Hearing Impaired, please contact the Tokyo Metropolitan Theatre Box Office. Hearing loop is an assistive listening technology system for individuals with hearing aids or cochlear implants for delivery of sounds from the stage in a more effective manner. The Tokyo Metropolitan Theatre has a private nursing room equipped with a small kitchen on the 5F. Next to the nursing room is a diaper changing station. Diaper changing stations are also available in some Multipurpose toilets. 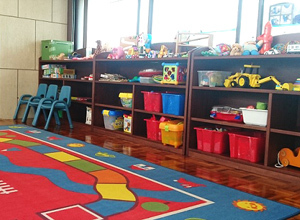 The Tokyo Metropolitan Theatre provides child care services for our guests at the nursery on the 5F so that parents with infants and young children can enjoy the performances. ■Reservation: Please call on a weekday except for public holidays, at least one week before your visit. Warabeuta, HITOWA Career Support Co., Ltd. Please state that you are contacting about the nursery reservations at The Tokyo Metropolitan Theatre.